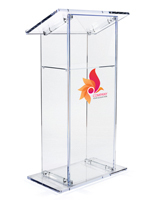 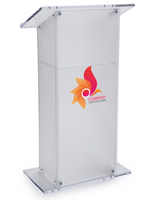 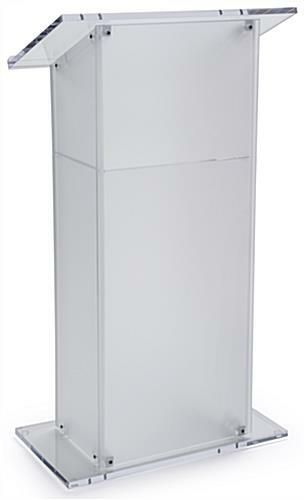 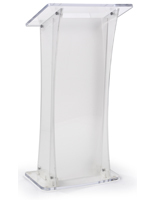 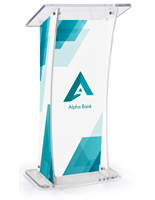 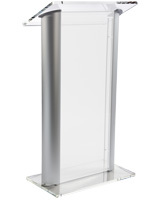 This acrylic speaking stand is a modern podium lectern for school and business lectures or church services. 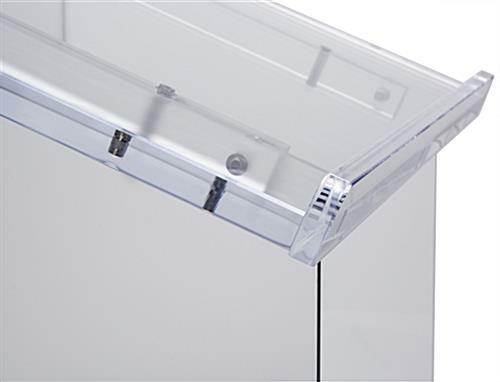 Opaque frosted plexiglass side and front panels offer privacy to the speaker, and top and bottom clear slats that let the light stream through. 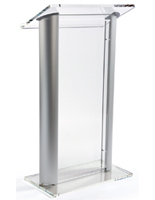 This speaking stand has four rubber feet at the base for stability. 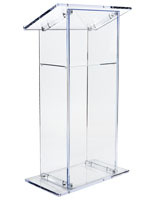 This pulpit is lightweight, and easy to move around convention halls and auditoriums. 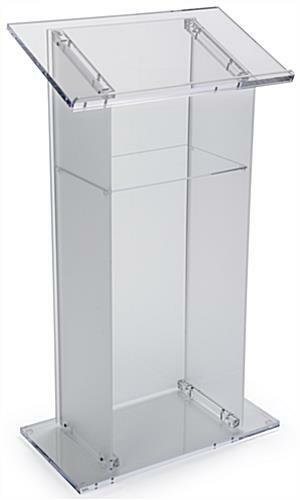 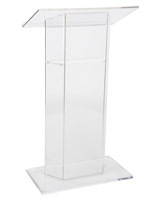 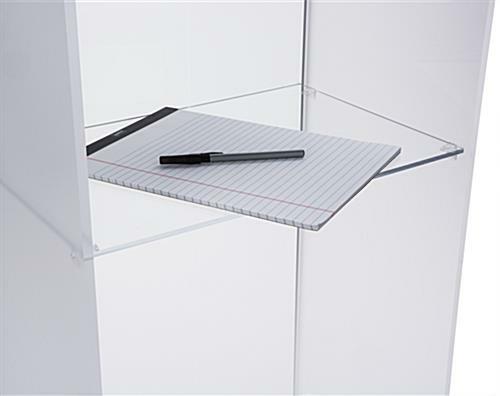 This speaking stand in clear acrylic has a stop-lip that prevents lecture materials from sliding off; an interior shelf for personal items gives the lecturer plenty of space on top for their talk. 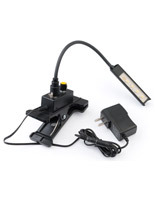 This fixture ships knocked down to reduce costs - but it sets up in just minutes.